Are you a coupon printer? While printing coupons at home can save you money in the store it could be costing you more money in ink and paper than you are saving. But don’t worry! There is no need to stop printing coupons– you just need to make sure you are printing smart. Below are four tips that will help you reduce the cost of coupon printing at home and keep you saving money. didn’t want in the first place. Not all stores allow printable coupons. Reasons for not allowing customers to print coupons at home are varied but store policy is store policy. Always check with your local stores before printing out coupons to eliminate printing coupons that can’t be used. Coupons that can’t be used equals wasted ink and paper! Print in black and white. We all know by now that color ink is more pricey than black ink. Coupons printed in color may look pretty, but they are still redeemable in black and white. Also, the watermark used to prevent the misuse of coupons will show up just as well in black and white as in color. Printing coupons in black and white is sometimes tricky because unlike printing a document, you don’t get asked before printing if you would like to print in color or black and white. When you click print on a coupon site they assume you want to use color. Before printing coupons set your printers settings to black and white only. To do this you need to go into your computer's control panel (PC) or system preferences (Mac). Once you do this select your default printer and set the printer to print in black and white. Click save and you are good to go. Create a bookmark folder in your web browser for coupons. Save coupons you think you “might” use to this folder and only print them when you decide you are actually going to use the coupon. This will help eliminate printing coupons that never get used and can also help you find coupons quickly when you need them! It is also important to note that photocopying coupons is against the law. It might seem cost effective to print out one coupon then photo copy the coupon for your friends, but this will only get you in trouble. Each coupon has a code and can only be redeemed once. Each coupon has a watermark that will also not show up when the coupon is copied–photocopied coupons will not be valid. 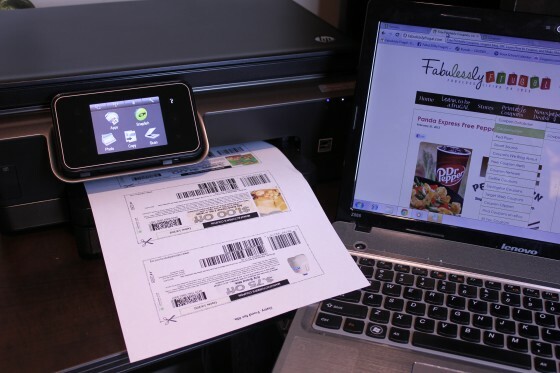 When done right, printing coupons at home can help cut the cost of living. We at CompandSave are all about helping you save money when possible. If you are printing coupons often be sure to check out our discounted ink cartridges and cartridge refills. Buying ink from us can also help you save cut the cost of printing coupons at home. 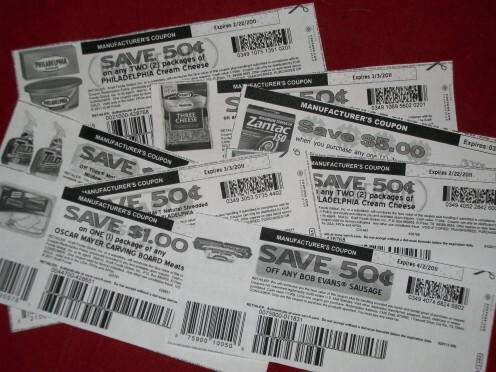 Do you have any tips for saving money when printing coupons? What websites do you find the best coupons on? Share your coupon experiences with us in the comments below! If you want to get high quality printing, you must rely on the prestigious online store that provides genuine and compatible printer ink from Epson, HP, Canon, Lexmar, Brother, and Kodak. Are Printed Marketing Materials Dead?